Gustavo Cerati in Madrid on October 10, 2006. Photo by Camilo Rueda López. Available under Creative Commons Attribution-Share Alike 3.0 via Wikimedia Commons. 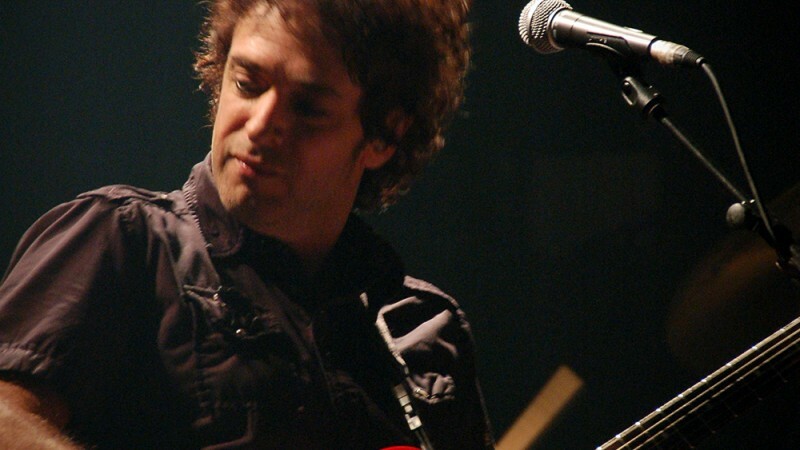 Argentinian songwriter Gustavo Cerati died on September 4, 2014, in Argentina. The 55-year-old musician was internationally well known for being a member (alongside Zeta Bosio and Charly Alberti) of the band Soda Stereo, one of the most influential of the Ibero-American music scene. He later went on to have a successful solo career. His sixth and final album, “Fuerza natural” (Force of Nature), was released in 2009 and won three Latin Grammy awards the following year. “Comunicamos que hoy, en horas de la mañana, falleció el paciente Gustavo Cerati como consecuencia de un paro respiratorio”. Director Médico de la Clínica ALCLA”. Despediremos a Gustavo a partir de las 21hs. en la Legislatura Porteña, Julio Argentino Roca 595, Ciudad Autónoma de Buenos Aires. Les agradecemos el respeto y la consideración con que siempre acompañan a nuestra familia. “This is to let you all know that earlier today, patient Gustavo Cerati passed away as a result of respiratory arrest”. Medical Director of ALCLA Clinic”. We will give Gustavo the last and definitive farewell starting at 21hr. at Legislatura Porteña, Julio Argentino Roca 595, Autonomous City of Buenos Aires. We thank you all for the respect and consideration you've always had with our family. Among his most emblematic songs with Soda Stereo were “En la ciudad de la furia” (In the city of fury), “Persiana americana” (American blinds) and “Nada personal” (Nothing personal). During his career as soloist, his main hits included “Puente” (Bridge) and “Cosas imposibles” (Impossible things). #HastaSiempreCerati “Vamos despacio para encontrarnos el tiempo es arena en mis manos” Gracias Totales!!! #ForeverCerati. “Let's go slowly to find ourselves, time is sand in my hands.” Thank you completely!!! Some songs will never have an expiration date. #ForeverCerati. This is a modified version of a post originally published on Global Voices in Spanish. Laura Schneider contributed with writing this post.